It’s a hot, balmy night when we approach Amnesia for Pyramid. A newcomer on the island this year, it has offered consistent line-ups from techno’s biggest stars in its inaugural season, from tech titans like Maceo Plex to superstars like Helena Hauff. 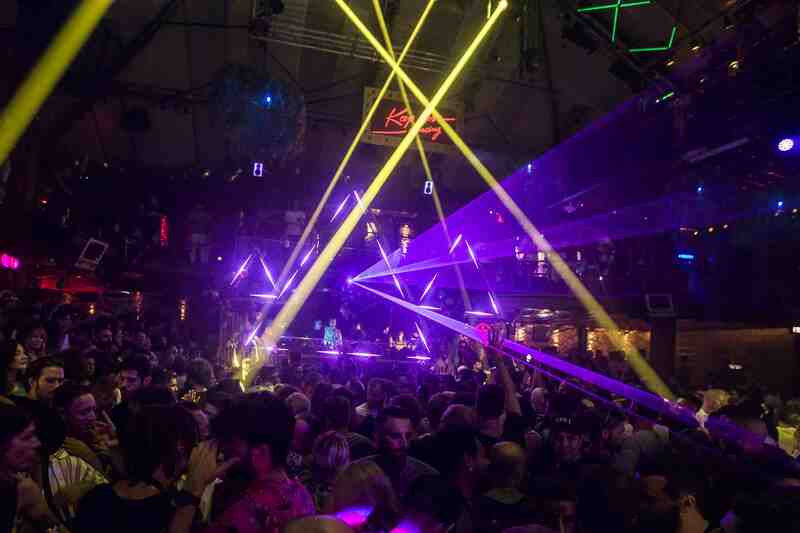 When it was announced that Cocoon would make its departure to Pacha this season, after calling Amnesia its home for almost twenty years, it was uncertain what would come in its place. But Pyramid has already proved itself as a real contender on the island, with Monday nights’ dancefloor being packed out, despite competing with DC10’s Circo Loco, one of the island’s longest running parties. 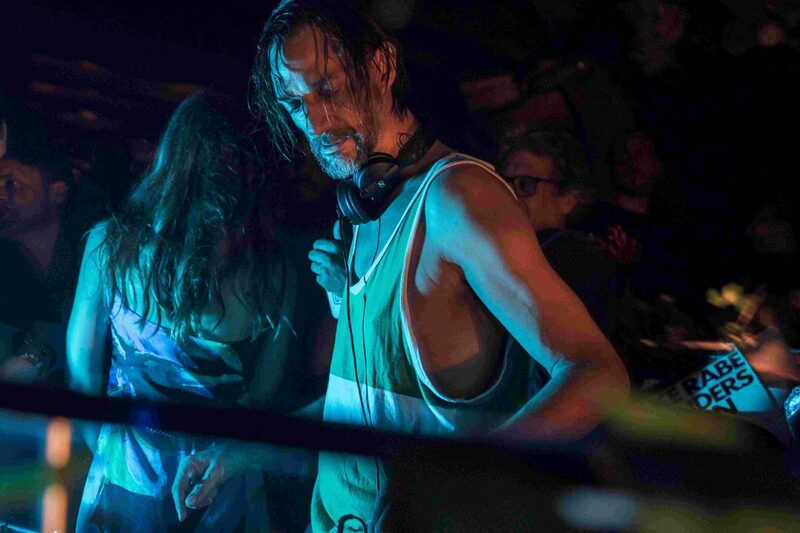 Monday night saw Ricardo Villalobos’s only all night long set of the season and he delivered, with a unique set filled with thundering party-starters and trippy minimal sounds alike, all conveyed with his signature weird and wonderful style. It’s not often you find an artist whose energy is as infectious as Villalobos’, and the genuine enjoyment he takes in playing is evident, dancing with his arms in the air between carefully selecting each record from his vast collection, it’s clear why he has such a cult following. All-night-long sets offer a unique chance for artists to flex their musical muscles, and the Chilean born star took the opportunity in his stride, with his signature otherworldly sounds and unwavering groove dominating Amnesia’s world class sound-system. Villalobos is anything but predictable, so from heavy techno, to unusual vocals and old school tracks, here are the ten tracks that rocked Amnesia that night. Kicking things off with this tech-house track from Berlin label Suol, Villalobos was getting the room warmed up nicely. The relatively stripped back track filled the sound-system as the synths swirled around the cavernous Amnesia terrace. It’s unlikely you’ll find a Bicep remix of any track that can’t get the room moving, and this mix of 808 State’s 'In Yer Face' is no exception. This party-starter with its gradual build, dominant hi-hats and bouncing baseline showed Villalobos was not messing around when he took control of the decks. A curveball perhaps for Ricardo but a banger nonetheless. When Villalobos took to remixing this relatively unknown folk singer’s song, it’s clear that he had the dancefloor in mind. The track, with Sheppard’s vocal intertwined with busy percussion, came as one of Villalobos’s few musical releases from last year, and along with its predecessor, the Empirical House EP, it illustrates his ability to create solid club tracks from the most unexpected of foundations. A rumbling bassline with charging kicks as good as this, belongs on a sound-system as fierce as Amnesia’s. A real sweaty techno track, Villalobos once again charged up revellers and showed that he meant business. Villalobos and Butch have been collaborators for some time, and his delivery of 'Quiet Storm' showed why the pair’s contrasting styles work so well together. Villalobos’s tactful delivery of the tension-building drops meant the crowd were like putty in his hands, and the party was well and truly underway. Villalobos’s eccentricity as a selector means that his sets are dynamic and varied. This minimal track with its trippy vocals and unusual instrumentals comes as a contrast with the slamming techno we usually hear on the Amnesia terrace. The club’s exceptional sound-system paired with Villalobos’s choppy mixing between genres and emotional landscapes meant ravers went on a real journey. Classic Ricardo. Once again Ricardo’s versatility as a selector is evident, and this classic house track kept ravers on their toes. From the deep underground sounds that even the most discerning dance music connoisseur wouldn’t recognise, to a track from one of house music’s most heralded household names, this diverse style of playing meant there was a constant energy in the terrace that never flatlined. A feel-good track from Carl Craig’s alias Paperclip People, brought the Balearic vibe with a sound that brings in both classic house elements and futuristic effects. Villalobos’s delivery brought on a nostalgilic yearn for days of Ibiza past, whilst showing that the super clubs of Ibiza are still hard to beat when it comes to atmosphere. This 1996 track from Villalobos’ lesser-known alias Richard Wolfsdorf, was pure magic on a proper sound-system, a quick search on Discogs and you’ll find that to own your own mint-condition copy will set you back over £100, but the 'MDMA' EP sounds so good you may just think its worth the cash. If there was any track that could be defined a ‘crowd pleaser’ from Monday night, it would have to Rampa’s Everything. The soulful vocals and undeniable funk could make the most stone faced and serious clubbers smile, and probably mouth along to its unmistakable lyrics. Villalobos’ unique style of mixing meant it brought a new dimension to a classic track and had the room moving.